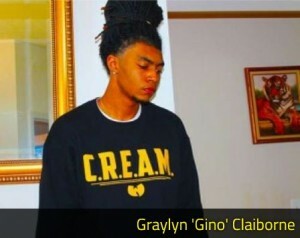 Recording Connection apprentice Graylyn “Gino” Claiborne was close to finishing up his apprenticeship at Detroit’s Metro 37 Recording Studios when he got an unexpected but welcome opportunity. Now, even though he’s got a paycheck coming in and is earning money working in the music industry, Gino isn’t slowing down. He’s sticking to his studies and is continuing on into the Recording Connection Master’s Program. He’s also working on a project called Visions. Are we excited for Gino? Sure we are! His success story is just one of very many. Our mentor-apprentice, in-the-door approach helps many students get hired on at the very same studios where they’ve apprenticed. Many others, get hired by people they’ve met while apprenticing in the program. Of course, working hard, applying oneself and making it happen for YOU is what it’s all about. Hear some of Gino’s great tracks on SoundCloud.